7. Nf3 This is not typical, main line is 7. Nb3. This gives white the option to play f2–f3 and g2–g4 to attack the kingside. 7…Be7 Because my opponent has deviated from book, 7… Be6 is a positional mistake because 8. Ng5 results in either a loss of a tempo or the loss of the bishop pair. 8. Bc4! Good move, my opponent immediately takes control of the g8–a2 diagonal, making it difficult for me to develop my bishop. 9. h3 This move is strong as long as white castles queenside. The idea is obviously to eliminate …Bg4, so I can’t say this is a mistake. 10. O-O? A strategic mistake, as now h3 is a target for my poor light squared bishop. 10. Qd2 would have been an interesting try for white. 12…Qc8 Without any hesitation, I immediately created a battery to attack h3. I’m not threatening to take yet, but I’m planning …Kh8, …f7–f5, and potentially a rook lift. 13. h4?? My opponent flinches. There was no need to try this yet, 13. Qd2 would have been interesting. 15…Nd4 Right now, my game plan is just to ruin my opponent’s kingside. Forcing him to move pawns in front of his king will win me this game. While my opponent helped my attack, I was able to win because he created holes in front of his king. What many players don’t understand about playing h2–h3 in front of the castled king is that it creates 2 targets, the h3 pawn AND the h2 square. This next game I played against a much stronger opponent, and while I should have lost, a weak kingside gave me a thematic tactical resource. 9…Nh5?! Not necessary at all. If I were to play this position now, I would opt for 9… d7–d5, taking advantage of the undeveloped b1 knight. 15…a5 This move shows that I was worried about Bxf7+ with the discovered threat on the g4 bishop. What I didn’t see was 15… b6 16. Bxf7+ Rxf7 17. Qxg4 Rxf2!! and if White tries to take the rook, Qxd2+ followed by Qxe3 will blow open the position in my favor decisively. 19. O-O Here we go. White has a weakness on the kingside because he doesn’t have a light squared bishop. As of right now, White has weakness on f3, h3, and g2. 19…e5?! Not necessary. The idea is to remove the defender on the knight. One key idea I heard a few years later was to not try silly tactics on your opponent. This move weakens me more than my opponent. 21…Qh3 Not threatening anything yet. 22. Rfc1 should solve any problems, but like last game, pressure on a weak king results in passive play, and passive play leads to blunders! 22. Qd3?? Nf4!! 0-1 My opponent resigns on the spot, the knight controls all of the weak squares in white’s kingside. Meanwhile white cannot take the knight or the rook. This game was very scrappy, and frankly I played subpar, but that being said, recognizing the weaknesses on the kingside won me this game. The next (and final) game, is probably the most strategic of the three. I personally believe that this is one of the best games I’ve played in my career. 5. bxc3 This is not my line of choice, but I knew how my opponent would respond, so for the most part, this is preparation. 10. d5 Waiting for my opponent to play c7–c5 is essential. If I had not waited, my opponent would have the resource of Nc5. 13. f5 My opponent has played very passively, allowing me to have a significant space advantage. 15. Bg5! This key idea is called a provocation. The idea is to provoke my opponent to play h7–h6, creating a weakness in front of the king. 18. Nh1! The best idea from me in the game. My goal is to attack h6 so I will rook lift, and maneuver my knight to f2 and then g4. 22. g4 A dream position for me. I will attack the h6 pawn with my g–pawn. 24. gxh6 I think I could have waited and played 24. Ng4, but this works well. 26. Rf1 Not even worrying about my rook on h3. I am inviting 26… Bxh3 27. Nxh3 rerouting the knight on g5. An easy, but fun win for me. By creating holes in my opponents position, I was able to win a piece. This was a much more thematic and strategic way to attack the weaknesses on the kingside. If you bring over pieces to attack, then your opponent will buckle and crack under pressure. 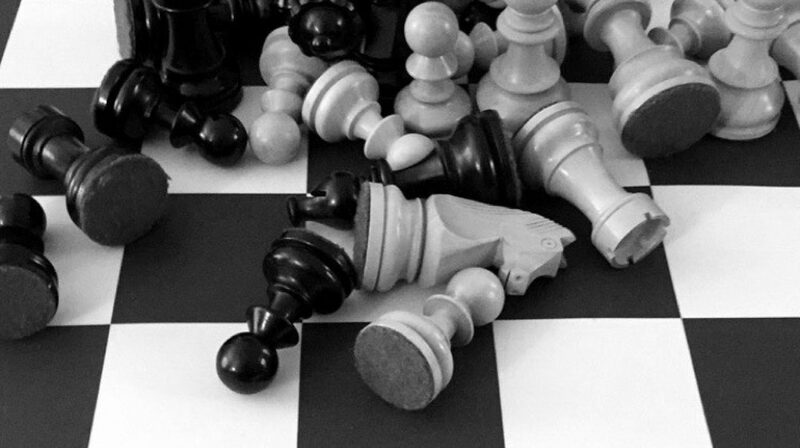 FM Mike Klein once said in a seminar I was in, “If you put pieces near the enemy king, good things will happen.” I think that this mentality is exactly what is needed when attacking weak pawn structures in front of the king. Feel like I missed something? Feel free to comment! Thankfulness to my father who stated to me about this website, this web site is genuinely awesome. Just write. Be open and be yourself! Once you get in the habit of writing frequently, it will come naturally to you!